After judging two thousand pieces of artwork sent in from PK-12 students, the GGUSD selected our very own Lobo, Tammy Ha's piece entitled "Isolation" as this year's 41st Annual First Impressions program cover! Please click on her art piece to the right and see her beautiful art cover. 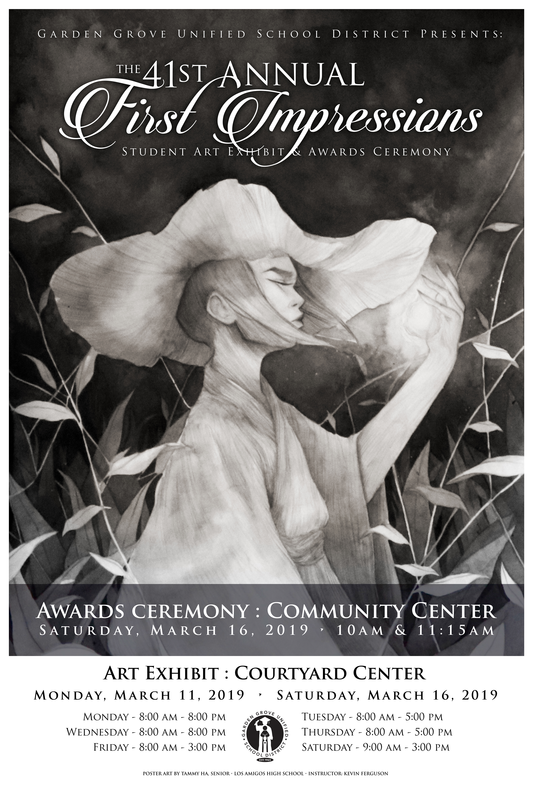 Her artwork along with other student's artwork from schools throughout the district will be on display at the Art Exhibit at the Garden Grove Community Center from March 11th - March 16th. Congratulations to Tammy for an outstanding job! Tammy Ha will also be invited to the school board meeting on Tuesday, March 19th to be recognized and honored for her talent. Way to show your PAWS! !